So what's the problem? Apparently, it all has to do with sugar. Though fruit is high in natural sugars, more and more experts are stipulating that sugar is sugar, and regardless of the source (refined vs. unrefined), it can have the same debilitating effect on our blood sugar and pant size. Of course, fruit is also high in antioxidants vitamins and minerals that our bodies love, and honestly, it's delicious—our smoothies wouldn't be the same without it. Thus, we're not planning on eliminating the food group entirely, but an appropriate idea of portion size is always food for thought when it comes to diet. As reported by PopSugar, some fruits are much higher in calories (and sugar) than others. Curious to see what 100 calories of fruit looks like? Keep reading. 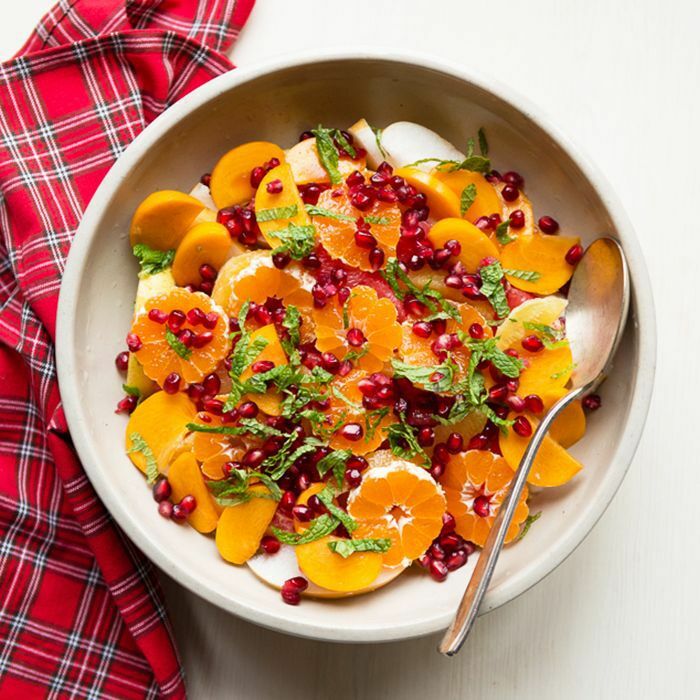 To gain some expert intel on the subject, we reached out to celebrity nutritionist and wellness expert, Isabel Smith who weighed in on the list's accuracy and shared her personal prescription regarding fruit. And, not surprisingly, the solution really comes down to moderation. Smith told us that if you're trying to watch your weight, there's no need to banish fruit altogether. However, to keep sugar and carb counts within reason, she recommends her clients stick to two servings of fresh fruit per day. (Or two to three if you're choosing berries which naturally have less sugar than, say, bananas or dates.) According to Smith, an appropriate serving should fall around a half cup of loose fruit like berries and melon, or 1 piece if it's an actual piece of fruit like an apple, orange, etc. "Too much of anything isn't good, and if someone is eating considerable amounts of carb-heavy foods in addition to fruit, it can begin to add up." So, while the above list provides some insight into calories, a specific nutrient count isn't everything when it comes to feeling our best.